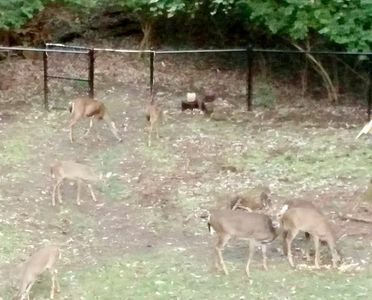 Enjoy nature and the outdoors with deer roaming the backyard almost everyday. Have your morning coffee on your back patio while listening to the bird sing and watch the deer roam. The affordable two bedroom one bath home will keep your family comfy while enjoying all Sidney Ohio has to offer. Fully stocked kitchen including a full refrigerator/freezer, dishwasher, to make your dining a little easier. Washer and dryer in unit. Parking just outside the door.